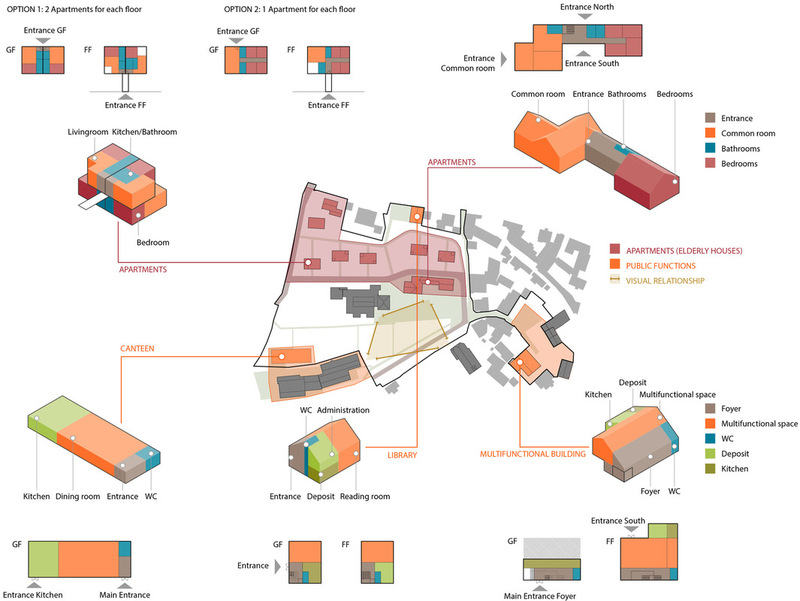 The new development of the vacant Klosterwiese area in Viereth Turnstadt offers the opportunity for an overall reconfiguration of the town landscape and architectonic structure and for a significant improvement of vehicular and pedestrian accessibility. 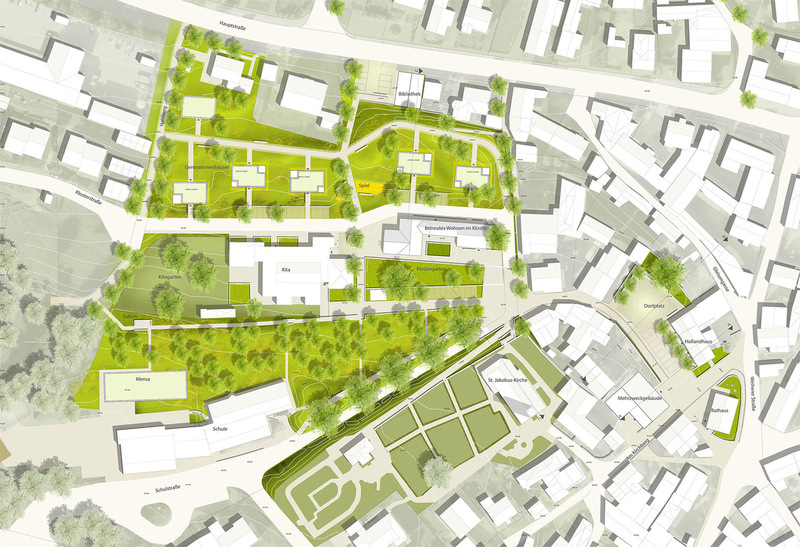 A system of terraces organizes the steep slope towards the river and opens the view to the existing ensable of church, cemetery, kindergarten and cloister. On the slope, new homes for the elderly centred in the cloister utilize the slope to guarantee barrier-free accessibility while avoiding the use of lifts and internal stairs. The renovation of the central town square and the addition of new public functions enhance the connection between the new and the historical areas.